If you are planning a trip to Yellowstone National Park and you’ve always been dying to travel the Rockies, there is no better time than now to start preparing. Not only do you want to have a daily itinerary, but you also want to get your supplies too. If you plan on camping in the Rockies, you will need supplies to get you through the trails and you will need supplies to stay hydrated and well fed. Not to mention, you will also need a mode of shelter, which is where a tent will come in handy. 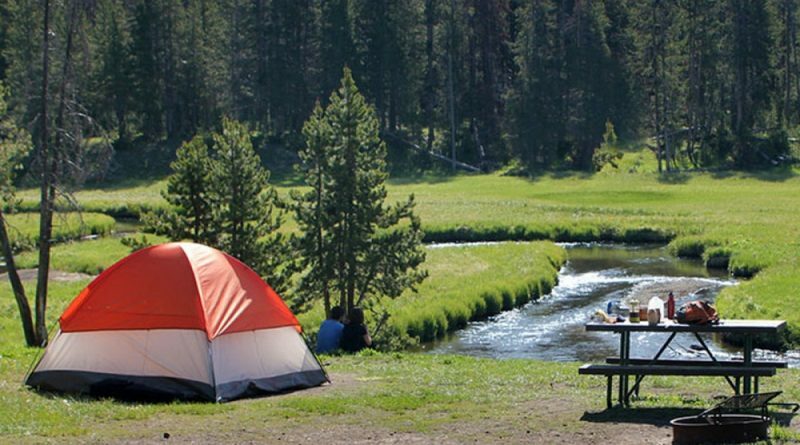 Here is how to prepare for a tent camping trip in Yellowstone National Park. First and foremost, you want to plan according to the weather. If you are visiting the park in the summertime, you will need a completely different set of tools and supplies than you would if you were visiting in the wintertime. Indeed, Yellowstone gets very cold in the winter and very hot in the summer, so you don’t want to find yourself underprepared. In the extreme cold, this could prove to be incredibly perilous – the heat can be incredibly dangerous too. In the wintertime, you want to make sure that you have a sturdy tent. Your tent should also be built for extremely cold weather. For instance, there should be thermally insulated walls and a thermally insulated floor. If you are sleeping on frost, the last thing you want to actually feel the ground. Not only that, but you also want to bring a thicker sleeping bag and clothing. If you are setting up camp, you will need a thick jacket, wind breaker and perhaps a full-face mask to protect against the biting wind. In the summertime, you can often bring a lighter load with you. Not only do not need such a heavy tent – you may not even need a tent if the temperatures stay above the mid-range of fifty to sixty degrees. However, in the summertime, you will need to bring supplies that you wouldn’t otherwise bring in the winter. These supplies include bug spray, sunblock and other protectant clothing. It is not very fun to be bitten by bugs all day and night. Moreover, some critters can actually be dangerous, like ticks that can cause bacterial and viral infections. Lastly, it is critical to be completely prepared on your trip to Yellowstone National Park. If you want to enjoy your backpacking or tent camping trip, you want to have all the supplies according to what the season is. The last thing you want is to wear too warm of clothing in the summer and too light of clothing in the winter. Another critical supply you need to bring is water canteens, so that you can stay hydrated. Ideally, you want to be drinking as much water as possible. If you are camping for longer than a few days, you may want to bring a filter, so that you can filtrate river or quarry water. In the end, once you are all packed – with all the necessary supplies – all you have to do is enjoy yourself.